Donald Trump has reportedly created yet another tie to Goldman Sachs in his cabinet by offering the job of National Economic Council Director to Goldman Sachs President Gary Cohn. While this move would add another swamp figure to his administration, Trump previously bashed Goldman Sachs repetitively during his campaign. 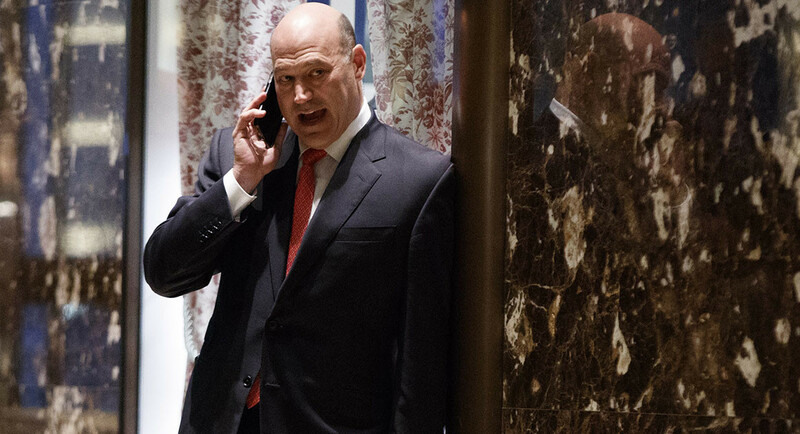 Cohn has been with Goldman Sachs for 25 years and previously worked in commodities. The National Economic Council, which Cohn would lead, is meant to “coordinate policy-making for domestic and international issues, to coordinate economic policy advice for the president, to ensure that policy decisions and programs are consistent with the president’s economic goals, and to monitor implementation of the president’s economic policy agenda,” according to the office’s website. Cohn would advise Trump as he attempts to fulfill some of his campaign promises, which would include lowering corporate taxes and rethinking U.S. trade policy. Trump has relied on several Goldman players for key positions. Last week he selected Steven Mnuchin, another veteran of Goldman, to be the next U.S. Treasury Secretary. Steve Bannon, Trump’s chief strategist, also worked on mergers and acquisition deals for Goldman Sachs. Lastly, we have one of Trump’s closest advisors, Anthony Scaramucci, who began his career at Goldman Sachs as a Hedge fund manger. Cohn has yet to officially accept the offer, but if he does, he would not need approval from the Senate before taking the seat as National Economic Council Director. One of Trump’s campaign videos in the final weeks before the election attacked global elites and flashed an image of Goldman Sachs Chief Executive Lloyd Blankfein. What do all of Trump’s picks for his administration ultimately mean for the global economy? Luke Rudkowski and Jeff Berwick of the Dollar Vigilante discuss the ramifications on the global economy as a whole in the video below. Can anyone seriously say anymore that Trump is draining the swamp? It’s like he is driving a huge dump truck filled with mud and dumping it into the swamp.